Fik. Ogaden Region.Ethiopia 2000. 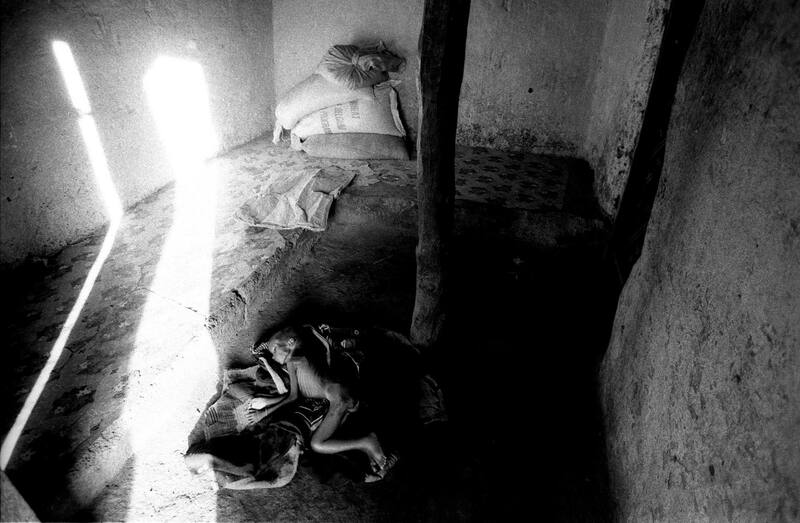 A dead boy on the floor of a house in Fik, with UN sponsored wheat in the background. According to his mother what eventually killed her son was feeding the boy wheat when no 'softer' alternative like milk was available.